Deeper™ team has just came back from ICAST 2015 – the 35th largest sportfishing trade show on the planet, which took place in Orlando, Florida on July 14th -17th. Deeper™ Fishfinder introduced fair attendees to new app features and accessories, so as established new deals and gained valuable connections. 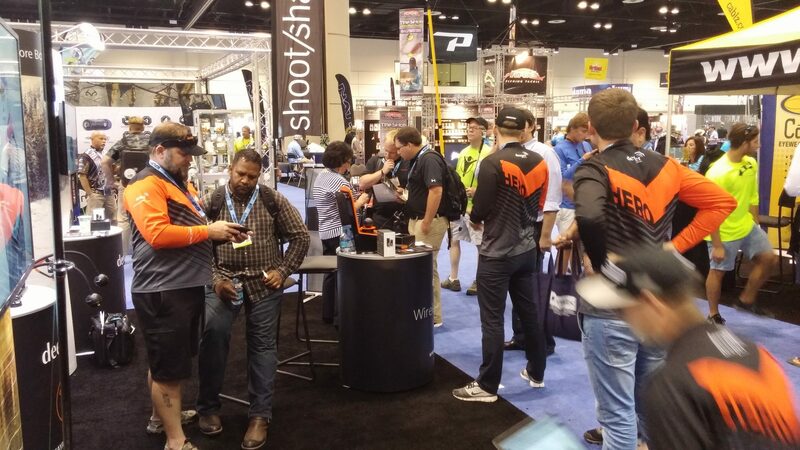 The big show started with a completely new event – ICAST on The Water, which enabled all exhibitors to demonstrate what their products are capable of in reality. Therefore Deeper™ team didn’t miss the chance to show off a little. Deeper™ introduced the most recent app update – Boat Mode with it’s brand new revolutionary features – bathymetric mapping and unlimited history. One of the co-founders of Deeper™ – Rolandas Sereika mentioned that these features were greeted with excitement by both customers and business associates. During the following days of exhibition, team representing the first smart sonar in the world Deeper™ Fishfinder, participated in ICAST exhibition and met up with their possible future business partners – distributors and retailers so as many pro staff members. “We gained some new and really valuable contacts which will help us expand to US market, develop our distribution channels even more and create prosperous deals” – stated R. Sereika. This year Deeper™ participated in ICAST for the third time already and they will definitely take part in next years exhibition too. So new features, new bonds and more fun in fishing is going to continue on in 2016 with portable smart sonar – Deeper™ Fishfinder. Have a look at our brand ambassador Jon B. introducing new app update – Boat Mode 4.0 at ICAST 2015.